G-SHOCK is heading to Vegas with a slew of 2018 models, among which is sure to be the company’s first watch with built in solar-assisted GPS. 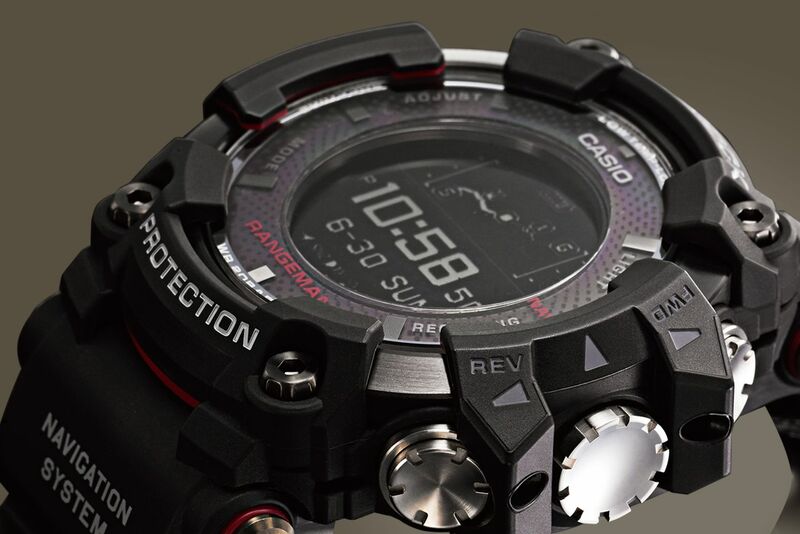 Each timepiece boasts a carbon fiber insert band, stainless steel black IP buckle and bezel, sapphire glass crystal, high-contrast MIP (Memory In Pixel) display and super LED backlight, as well as 3,300 almanac points for accurate tide and moon data. The uncompromising watch is on the large side at 57.7mm across.